I love the stories about genies and magic lamps. 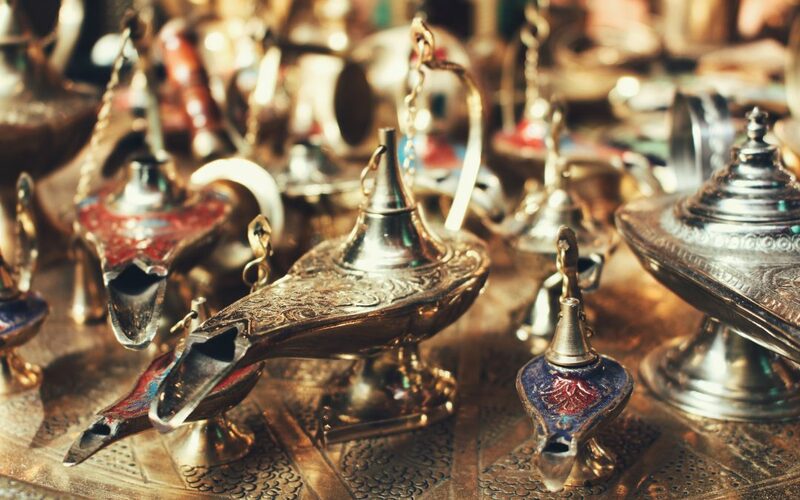 Imagine rubbing an old magic lamp and having a genie come out of it to grant all of your wishes. This great fantasy has a ring of truth to it, except you are the genie in the lamp with the power to grant your wishes. I am not alone in this belief. Everywhere I turn these days one source after another is telling us we have the power to create our own reality. I found this to be true in my life, but it needs clarification, for it is one thing to create the reality you want and another to have all of your wishes fulfilled. Just because you want something does not mean it is good for you. Chances are that your ego came up with them, like wanting more money than your neighbors or becoming popular and famous. Other desires are not possible. Because you wish it, for example, does not mean you can become LeBron James. Fantasies like this are fun to imagine, but they are just wishful thinking. Not that becoming your own genie allows you to make things appear or disappear; it is more about transforming for the better the things that come your way. Becoming your genie gives you the power to, metaphorically, turn lemons into lemonade, water into wine, lead into gold. To be the granter of your wishes, you must find the path that fills you with passion, energy, joy and creativity. This is where the universe can best conspire with you to create a reality you want. I have gotten a glimpse of this path throughout my life. Those were times when I knew I was born to do exactly what I was doing. I feel it today when I share the wisdom I learned from my experiences through my writing and speaking. We can manifest our own reality, in cooperation with the universe, by being open to this biblical advice. This effort begins with our positive thoughts. We must also believe there is a benefit to us in the things, experiences and relationships that come into our lives. In adopting this perspective, you convert whatever comes your way into great and fulfilling experiences. Being open to them, without judgement, allows the lesson they contain to transform you. Today, I live open to the things that come my way because I am confident I can manage the challenges they bring. This has enabled me to manifest a reality that has raised my level of consciousness. It has helped to get me in alignment with my path and has brought a level of greater joy and satisfaction to my life—just as it is—than I have never known. This is exactly the reality I want to create. This can also happen for you. Going through a difficult life transition? You might benefit from reading my latest book, Catch and Release: One Man’s Improbable Search for True Love and the Meaning of Life. It is my story about starting life over again. Download a PDF of the first 5 chapters of Catch and Release for free. To order your inscribed copy in either hardcover or paperback, click here (https://www.guillermovidal.me/shop/). 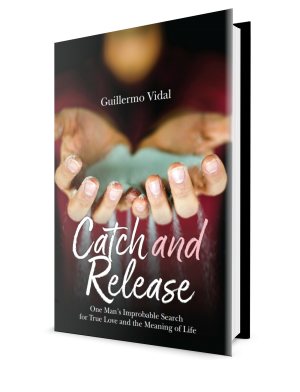 Catch and Release is also available on Kindle here (https://www.amazon.com/Catch-Release-Improbable-Search-Meaning-ebook/dp/B07F26N1HS/ref=sr_1_2?s=books&ie=UTF8&qid=1535494644&sr=1-2). You can also subscribe to my free weekly newsletter on my website and receive motivation and encouragement to help you on your way to recovery.